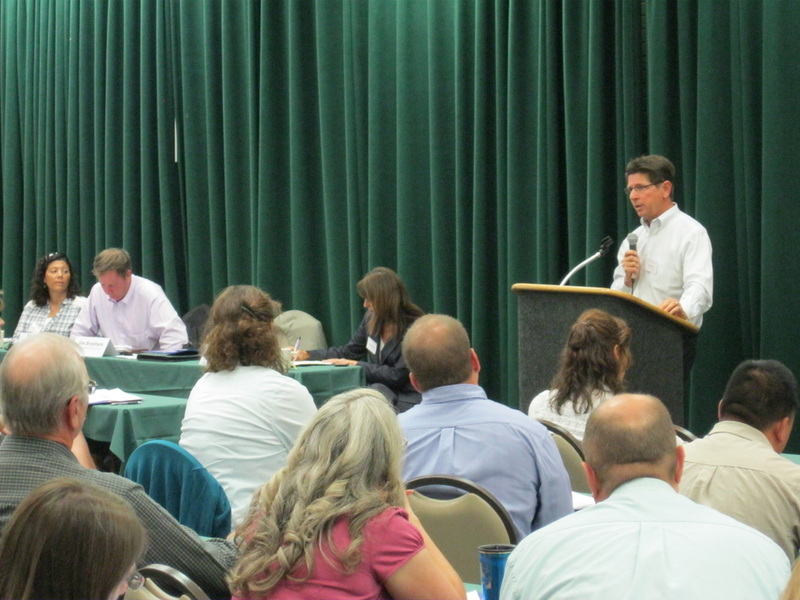 Nearly 100 people attended the first Sierra Water Workgroup Summit in North Tahoe on July 17th and 18th, exceeding all expectations and leading to calls for this to become an annual event. The Alliance took the lead in organizing the Summit, continuing a close relationship with the Sierra Water Workgroup, a forum for the 12 Integrated Regional Water Management Plans (IRWMP) in the Sierra and their stakeholders. The Alliance played a principal role in establishing the Sierra Water Workgroup in order to assist regional efforts to protect and enhance water quality, water supply, and watershed health; to develop cooperative regional responses; and to facilitate reinvestment in our watersheds and water resources. Diverse participants from throughout the Sierra Nevada and beyond gathered at the Summit to discuss current challenges and opportunities for Sierra water management. Attendees included 22 people from nonprofits, 19 from state and federal agencies, 11 from water agencies, 11 from consulting companies, 10 IRWMP leaders, 5 tribal representatives, 5 attorneys, 4 academics, 2 people from county governments, and various foundation officers, concerned citizens, and state agency representatives as well as Alliance staff and interns. While the summit participants were an impressive group, integrated water management means more than just broad stakeholder engagement. It means a comprehensive approach to improving water quality and water supply reliability while addressing issues such as flooding and watershed restoration in an ever-changing landscape. This goes to the core of what the Alliance is all about: bringing together diverse people and organizations to share successful models and to develop regional resource management plans. Successful events such as the Summit also give the Sierra a stronger voice as a region in terms of state water policy. The Sierra Water Workgroup regularly works with the California Department of Water Resources (DWR) to inform state plans and policies. The Alliance and many of the IRWMPs have representatives on the design, technical, and advisory groups for the State Water Plan Update. In the current round of IRWMP funding, DWR recommended for funding all 8 of the Sierra IRWMP applicants. With attendees already calling this an annual conference, the Alliance looks forward to planning our next cooperative venture with the Sierra Water Workgroup. In the meantime, we continue to work with individual IRWMPs on a range of issues, from compiling greenhouse gas inventories to organizing outreach efforts in disadvantaged communities. *Photo: Jim Branham, Director of the Sierra Nevada Conservancy, at the podium during the opening plenary with (from left)Debbie Davis, Community and Rural Affairs Advisor at the Governor’s Office of Planning and Research, and Gary Bardini, Deputy Director of the CA Department of Water Resources.